How to survive a tax audit? Tax audits aren’t just stressful, they are also potentially expensive. It is often the small cash-based businesses who get the worst of these audits. However, there are ways to face tax audits with less stress. Delaying the audit could help you organize your records. 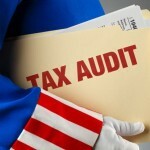 The Internal Revenue Service is required to complete the audit not more than three years after filing the tax return. So, request more time to postpone the audit if you need it. By organizing your records, your auditor might have the impression that you are contentious. You are allowed to reconstruct records if you have missing receipts. You can do this if you need it. As much as possible, don’t hold the tax audit in your business premises. It is best to have the tact audit at the IRS office. If the IRS wants you to host the audit, get an accountant, a lawyer, or a pro in the issue. During the audit, be brief and straight to the point. Don’t talk unless it is necessary to. Do not give past records of your return, because the auditor might see something wrong and adjustments might be made. Leave all documents that do not concern the present year’s audit. Do not negotiate over the tax you are supposed to pay. Instead, try to negotiate the tax issues like possible deductions. Learn the IRS Publication 1 to learn about your rights as a Taxpayer. Read tax guides and other IRS publication to at least have a background on paying taxes. If you are still not well knowledgeable about the tax laws, it would be best to hire an expert. You can hire an accountant or you can hire experienced tax lawyers.